I feel like MAC have really upped their game with the releases recently, there’s been so many products that have caught my eye but one in particular was the Essential Oils. Whilst the Essential Oils aren’t actually a new product, they’ve been around and well loved by many makeup artists for years now, MAC have added new blends to the lineup so there’s now Yuzu, Grapefruit & Camomile (the one I went for) and Sweet Orange & Lavender to choose from. There’s also a stick form which is a great option for easier application, you simply apply the balm to any areas you need to, it’s a great option for those who find oils messy or you just simply want a quicker application. The thing I love about the Essential Oils is that they’re such a multi use product. You can use them alone under makeup, add a few drops to your foundation to give you that dewy look, add it into your moisturiser for added hydration, use it to soften cream products (especially stubborn cream concealers that aren’t as soft to use! 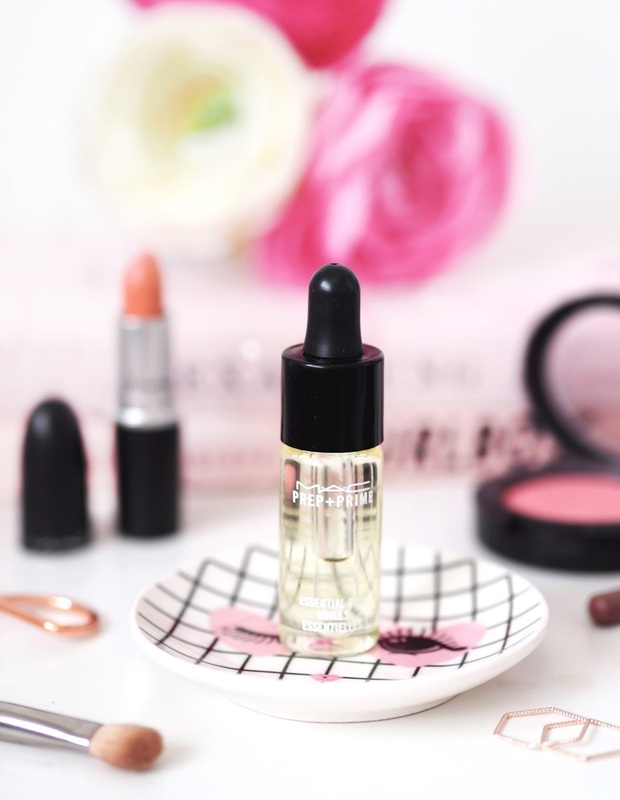 ), apply it to the high points of your face to softy highlight those areas for a ‘no makeup makeup’ look, there really is such a variety of ways you can use this handy little oil. 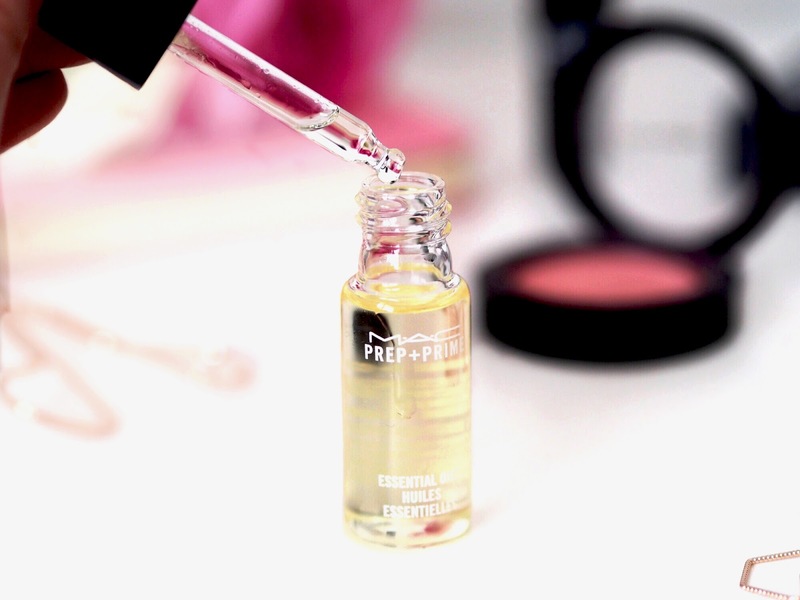 Although it’s an oil, don’t let that put you off if you’ve got oily/combination skin. I have combination skin but I find these work fine for me. Whilst they’re hydrating, it’s not the overly oily shiny face type of hydration, it’s that subtle yet hydrated VS model type of glow. I tend to apply a few drops directly to my skin underneath my foundation and I can’t rave enough about how glowy they make my skin look. Whilst I like my skin more on the semi matte side, I don’t like it to look dull and flat so these drops are ideal. I do have sensitive blemish prone skin but I can say I’ve not had any issues with it, I was worried the oil might break me out I’ve been fine. Whilst you might initially think it might not last long as you only get 14ml of product, you really don’t need to use much. I’m one of those people that’s guilty of using way too much product but I find I only do need 2-3 drops to cover my whole face. It comes in a glass bottle that has a handy little dropper to apply the oil and it’s not one of those droppers that spill the product everywhere, I’ve also found it leak free so it’s been fine to travel with. As you can tell I’m absolutely head over heels in love with the Essential Oils, it’s become an everyday staple for me! I don’t think I’ll ever get over the glow this gives even through even a matte foundation, have you tried it yet?